This is a beautifully made watch. As a limited edition of 222 pieces, the Fortis Terrestis Founder does what it says - honors the founder of Fortis watches, Walter Vogt. 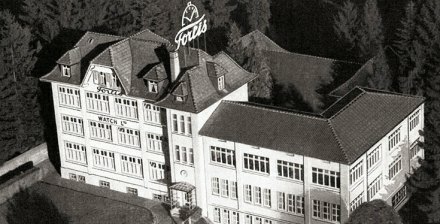 Vogt started the company in 1912 in the small watchmaking village of Gretchen, Switzerland. This small village has become a watchmaking powerhouse, home not only to Fortis, but to well-known companies including Breitling, Eterna and ETA. To create this watch, Fortis drew inspiration from one their most iconic timepieces, the Manager. That watch was voted the best chronometer in the world in 1956 by the COSC, the Official Swiss Chronometer Testing Institute. The Fortis Terrestis Founder Limited Edition is housed in a polished 40 mm steel case with transparent case back. 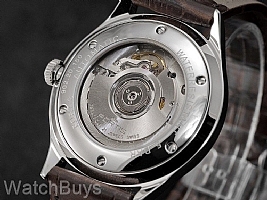 The automatic winding Swiss movement has been highly decorated and finished. 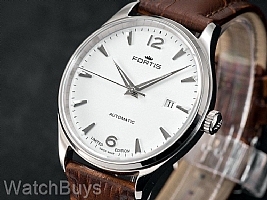 Fortis chose dauphine hands and indices to accent the silver/white dial, and in keeping with the classic design Arabic numerals are used at 12 and 6. This watch features a date display at 3, lume dots on the hour markers and SuperLuminova incorporated into the silver hands. Verified Owner Comments: The watch is as nice as it appears in the photo. Transaction with Watchbuys was flawless. 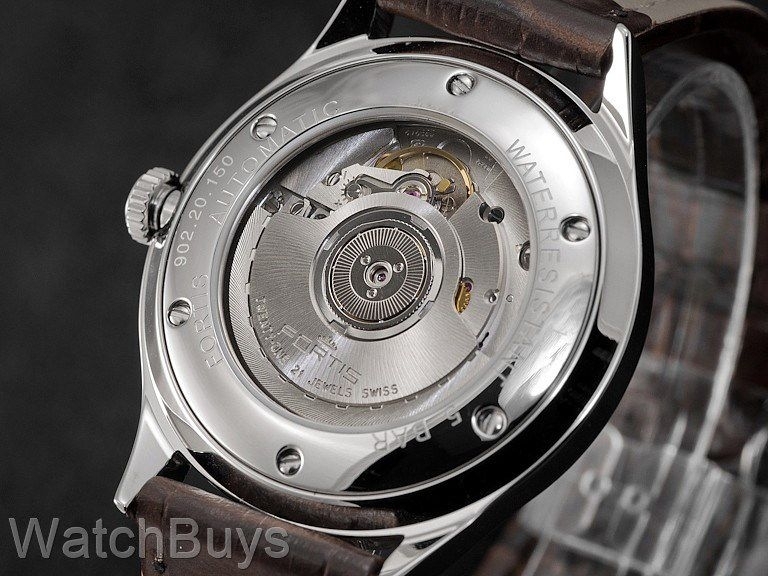 I am a two-time purchaser and will continue to do business with Watchbuys.